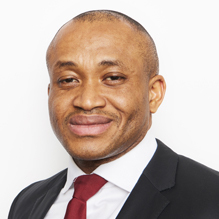 Dr Chinedu Umeadi is a highly experienced Lead Consultant Psychiatrist currently working for Greater Manchester Mental Health NHS Foundation Trust. He has a Medical Degree, Diploma in Tropical Medicine and Hygiene, Diploma in Clinical Psychiatry, Master of Public Health and PhD in Public Health with Epidemiology Specialism. Dr Umeadi has over 8 years’ experience working as a qualified Psychiatrist in the NHS. Using the bio-psycho-social model of care, Dr Umeadi carries out assessments, diagnosis and treatment plans for many different mental health issues, including Anger, Anxiety, Depression, Bereavement, Suicidal Ideation, Self-Harm and Drug Dependence. He offers a variety of treatment options, including medication and therapies such as Cognitive Behavioural Therapy (CBT). Dr Umeadi is able to complete Medico Legal Reports, with significant experience giving expert evidence in court. He covers Capacity, Abuse, ADHD, PTSD, Depression, Trauma, and Substance Misuse and Addiction. Dr Umeadi is described as friendly, professional, hardworking and diligent, with excellent clinical skills. Clinical Partners are delighted to present Dr Umeadi to our patients in the North West. You don't need a GP referral to see Dr Chinedu Umeadi.